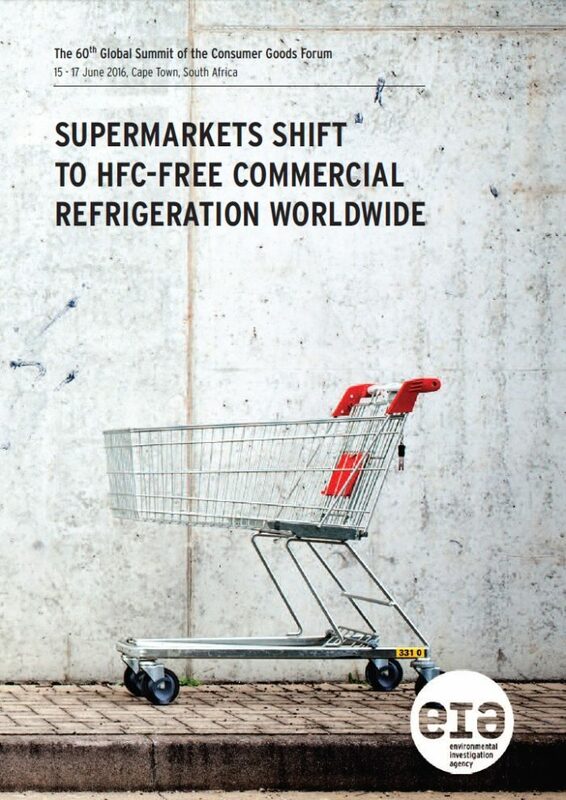 EIA has this week released a new briefing, Supermarkets Shift to HFC-Free Commercial Refrigeration Worldwide, for the 60th Global Summit of the Consumer Goods Forum taking place this week in Cape Town, South Africa. Since 2010, there has been a dramatic shift in the availability and effectiveness of HFC-free technologies, allowing progressive companies to significantly reduce their carbon footprint. This briefing provides a series of case studies which demonstrate the widespread uptake of HFC-free technologies in the commercial refrigeration sector. In a year where ambitious actions from governments, civil society and the commercial sector are required to help limit greenhouse gas emissions, EIA is urging the Consumer Goods Forum to continue its leadership role in swiftly reducing and eventually eliminating the use of HFCs from commercial refrigeration across the globe. Read and download the new briefing here.